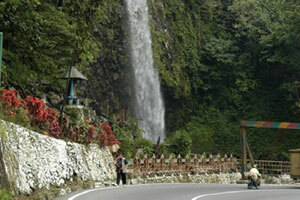 Pariaman is a coastal city in West Sumatra, Indonesia. The popular annual festival of Tabuik is celebrated by people in this city every 10 Muharram of Islamic calendar (the Day of Ashura – please check the website as the exact date changes every year). In the festival, two such beautifully-decorated effigies or “Tabuik” are carried through the city. Named Tabuik Pasa and Tabuik Subarang, the effigies are swayed accompanied by 12 tasa kettledrums beaten in a spirit-rousing rhythm. 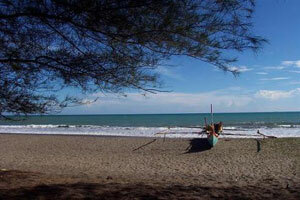 In the afternoon, both Tabuik are moved to the coast and lowered into the sea before sunset. After they are thrown into the sea, many people go swimming looking for ‘memories’ of the Tabuik to keep. 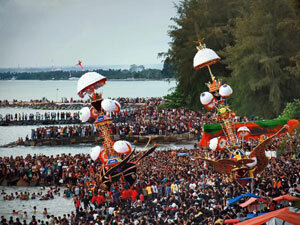 This festival has become important tourism agenda, endorsed by Pariaman city government every year. Dec - 06 | By: zikri | No comments. 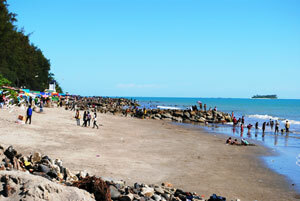 19 Dec 2010, TABUIK FESTIVAL 2010, wild held on Pariaman beach. Tabuik is a festival held to recollect of the karbala battle, a battle that was occur on the 10th of muharram, where the Prophet Muhammad grandson (Husayn ibn Ali) was died. Its flora & fauna has been retained as “natural heritage” to allow golfers while playing to enjoy the exotic sound of birds, crickets or the music created by the leaves and breeze or watching the playful ‘Simpai’, a veryrare species of monkey that can only be found in West Sumatera (500 M above sea level).